One of the Caribbean Cruisin' fleet off of Providenciales. Houses in Cockburn Harbour, South Caicos. Sailrock Resort on South Caicos offers a pre-packaged day-trip for $150 per person, which includes transfers and flights from Providenciales. For more information, visit their website. 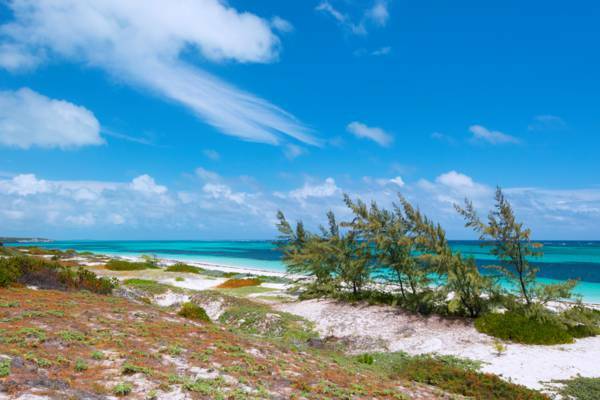 Found on the eastern end of the Caicos Islands chain, the sleepy South Caicos offers historical salt salinas, impressive coastlines, and a laid-back old Caribbean atmosphere. Both domestic flights and passenger ferry services connect South Caicos to Providenciales and Grand Turk. Flight schedules are most convenient for day trips, yet some of the ferry routes work as well. South Caicos remains a very interesting destination. Hotel rates are quite reasonable, so the island is also great for short overnight stays. Interior of the abandoned United States Coastguard LORAN station, South Caicos. Local airline interCaribbean is the primary provider of flights to South Caicos, with several flights per day. Rates are about $150 per person roundtrip (2018). Flight time is about 20 minutes from Providenciales. For domestic flights, we advise arriving at the airport at least 45 minutes prior to flight departure. A roundtrip passenger ferry service is offered twice per week between Providenciales and South Caicos. However, this service may not be viable for day trips due to the schedule, as the layover in South Caicos is often less than an hour. Travel time is about 75 minutes ($100 roundtrip, 2018) and the route is offered on Wednesdays, Fridays, and Sundays. Caribbean Cruisin' is the primary ferry operator. Beach at Bell Sound, South Caicos. We highly recommend renting a vehicle during your stay on South Caicos. The main settlement of Cockburn Harbour isn’t large, however, many of the spectacular coastlines and beaches can be quite a distance off. Unfortunately, rentals are both more expensive and limited, and moreso than on ourother islands. Rates are about $150 a day including tax and fuel for a minivan or SUV (typically not the best condition vehicles). See Getting Around South Caicos for more information and business details. 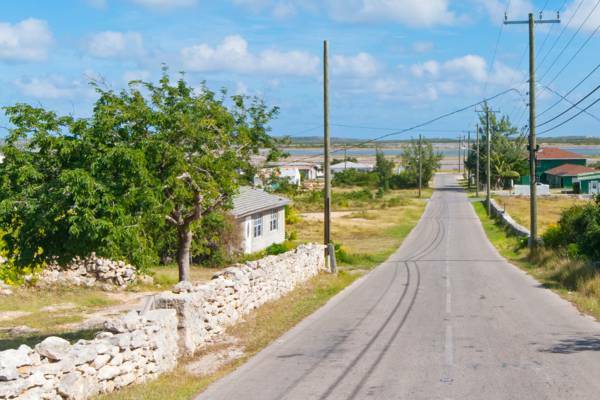 The history of South Caicos has been closely tied to the sea salt production and fishing industry. 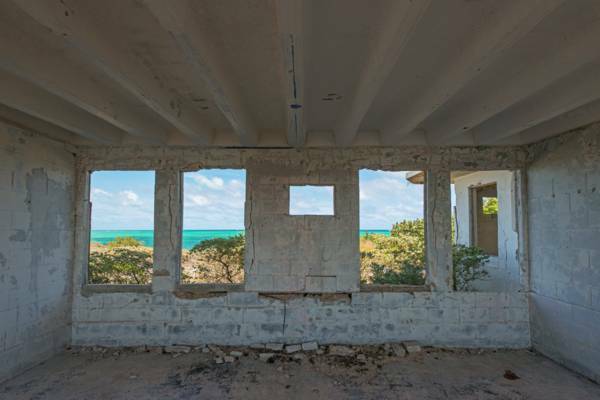 The economy of the island has seen declines in the last several decades, yet many interesting salinas, buildings, and sites remain, such as The Boiling Hole and the South Caicos U.S. Coast Guard LORAN Station. Fishing is popular, and several businesses have set up shop since 2011. Big Blue Collective offers eco-tourism trips from Providenciales that include kayaking. 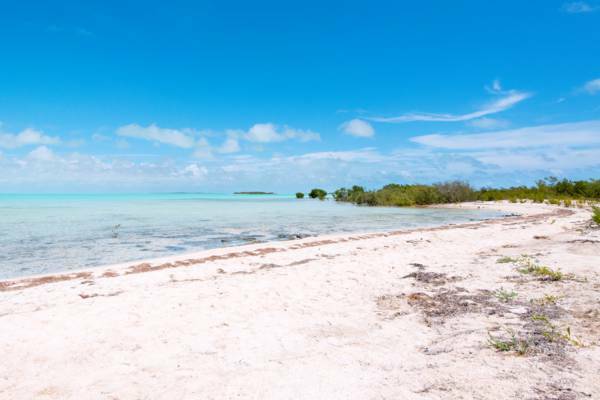 We recommend simply exploring South Caicos at your own time. There are so many scenic landscapes and beaches to explore. See Exploring South Caicos. There are three resorts on South Caicos. 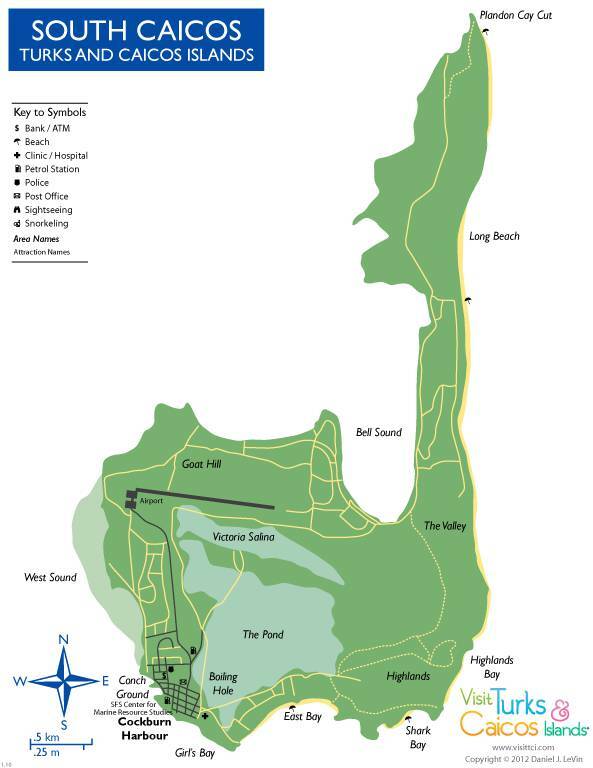 East Bay Resort and Sailrock Resort are two new luxury accommodations, and the Ocean & Beach Resort is a quaint hotel with excellent rates and a ridgetop location outside of Cockburn Harbour that offers some of the finest vistas in the country.